Chris Brown has had no shortage of legal trouble over the years, including multiple stints in jail for a wide variety of charges. Still, his latest form of breaking the law is undoubtedly his most ridiculous — he's facing possible time behind bars for owning a monkey. According to TMZ, Brown was charged with two counts of owning a restricted species without a permit. This could carry a maximum sentence of six months in jail if the convictions go through. The monkey is a baby capuchin named Fiji. 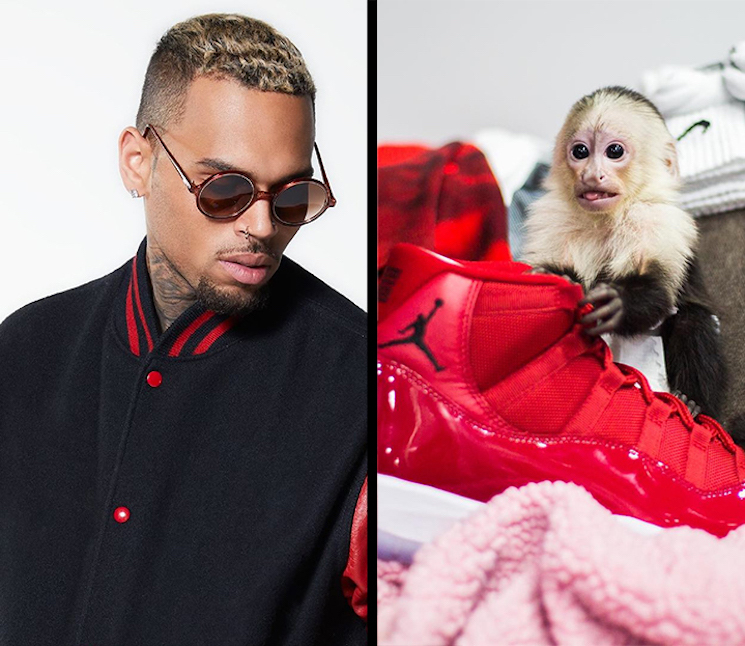 Brown recently took some heat for posting videos of his daughter Royalty playing with the monkey on social media one year ago, with many thinking the animal posed a risk toward her safety. Because Brown doesn't have a permit for Fiji, authorities obtained a search warrant and planned to raid his home. Instead, Brown surrendered the monkey. Around the time of the monkey's surrender, Brown's lawyer Mark Geragos told TMZ, "As I leave my office in downtown L.A. and walk past people sleeping on the street on my way to defend people charged by the City Attorney with selling medical marijuana… now spending taxpayer money on investigating monkey business, this completes the circle on his absurdity." Brown is due in court for sentencing on February 6.